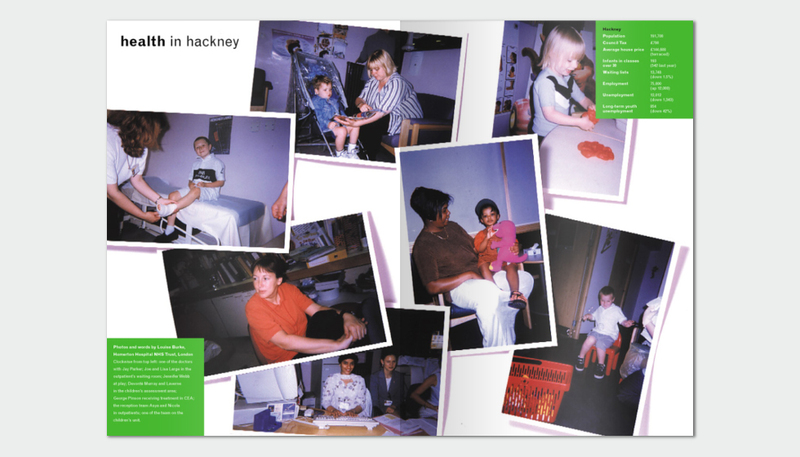 New Labour swept into power in a landslide election of 1997 and wanted to communicate how they were delivering on the promises and pledges that got them into power. 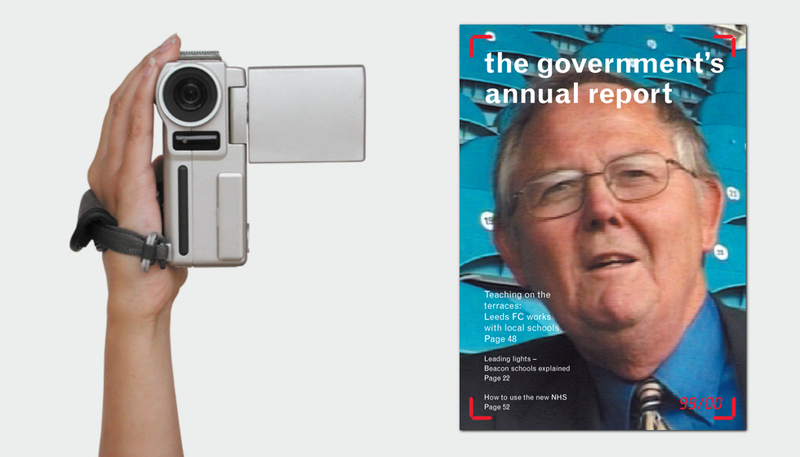 The first ever Government Annual report in 1997/98 gave the general public the opportunity to read how progress was coming on across all sectors of responsibilty. It was a first - not only showcasing their success stories, but also being brutally honest and revealing shortfalls in expectation and where there was room for improvement going forward. 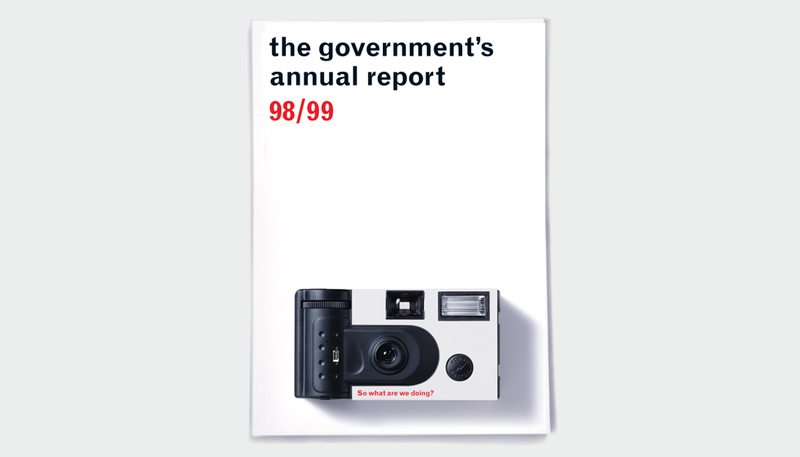 Rather than using the 97/98 report as a platform for chest beating, we had the idea of taking the report to the general public to see what they thought of Government progress so far. A photographer went out onto the streets, interviewing members of the public asking them what they thought. 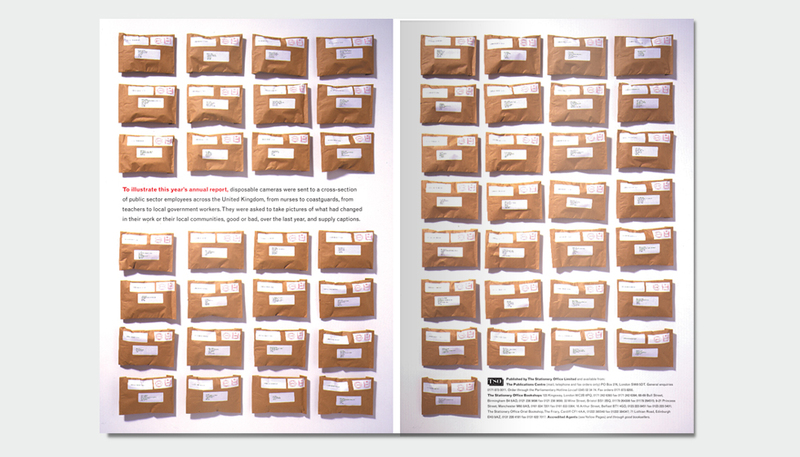 Their unedited quotes were published along with their photos throughout the report. 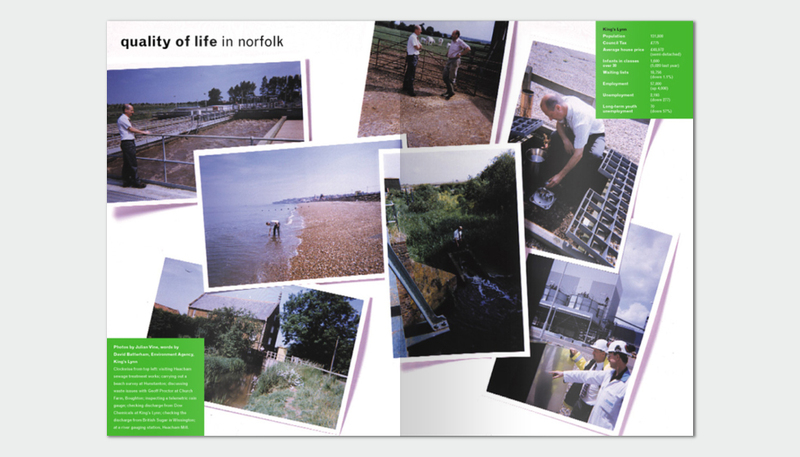 Over the next 3 years, the idea developed further by sending out disposable cameras to members of the public in 98/99 to get a true insight into their working lives and the problems they faced on a day to day basis. 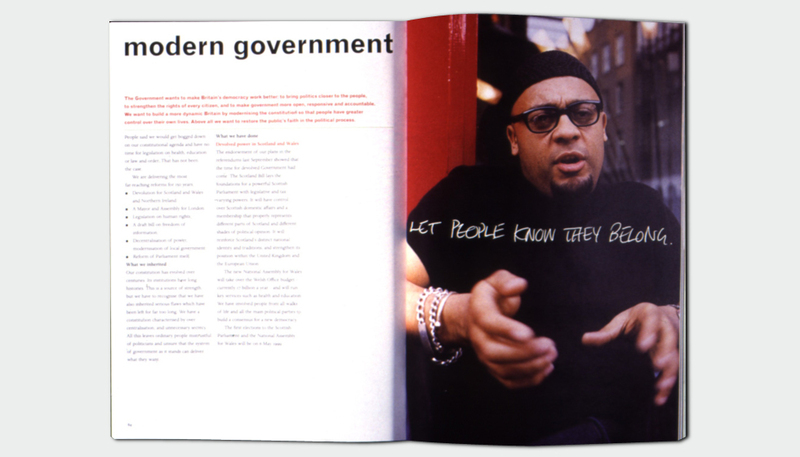 Then, in 99/00 we sent a documentary maker out to a range of industries across the UK and produced a series of short films highlighting how Government policy was affecting them and what they thought needed to be done across the board. 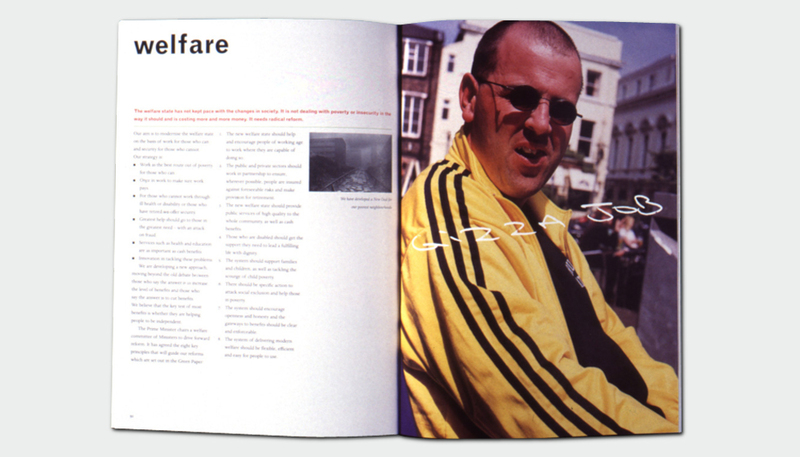 Needless to say, the reports were well received across the media... most noteably by Labour politicians!